Fiini Naturally´s beautiful marigold soap that is suitable for the most sensitive skin. The mild, fragrant and very gentle soap contains dried calendula. 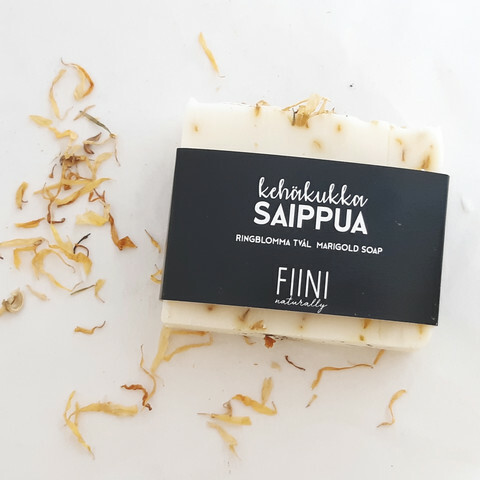 Fiini Naturally´s soaps are handmade by cold process in Ostrobothnia, Finland. Soaps contain only natural ingredients of nature. Soaps do not contain any artificial dyes, perfumes or added chemicals. Note. The palm oil we use in soaps is RSPO certified and organic certified, both of which guarantee palm oil to be responsibly produced.